This brand new chafing dish can be used for a very long time and is easy to store and clean, quickly and conveniently show off your most popular dish with this economic folding chafer kit. 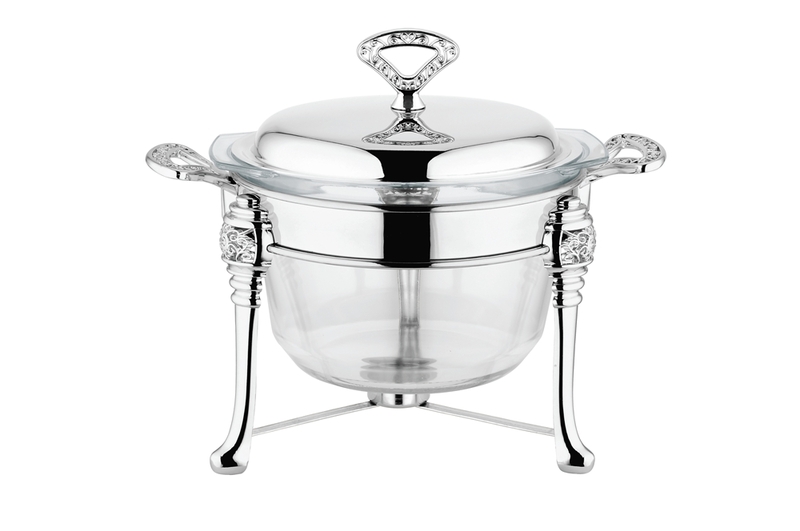 This rectangular chafer combines style with durability to ensure a lasting product that will impress your guests and customers. This Food Warmer is resistant to corrosion and provides a sparkling, silver exterior. The lid's decorating handle provides safe and easy access to your food. It comes with a uniquely designed folding frame that includes an attached lid holder and collapses for easy storage and transport. Looking for ideal Best Buffet Food Warmer Wholesale Manufacturer & supplier ? We have a wide selection at great prices to help you get creative. All the Deep Round Food Warmer Wholesale are quality guaranteed. We are China Origin Factory of Deep Round Food Warmer. If you have any question, please feel free to contact us.